Dr Kalam had a point. The public in general seemed to have a wrong notion about parliamentarians as people who never bothered about their constituencies or voters, once they were elected into the Parliament. Many doubted their integrity too. Indian films – be they Hindi, Tamil or Telugu – only reinforce these ideas about the politicians on the celluloid screen, for private profit through box office. However, it is probably true for only a miniscule section of politicians. A large majority of politicians work hard for their constituencies. So, it was no mean task when a small group of people from the Prime Point Foundation, present there with Dr Kalam, began working on that seed of an idea from Dr Kalam, racking their brains on how to implement such a gigantic scheme against all odds. Things started falling in place slowly. The PRS India helped with the data on the parliamentarians’ performance in terms of raising questions, participation in discussions and debates. Then came the process of selection based on the PRS data. The PRS data served as a valuable reference point to select the candidates on merit. Over the initial years, the first among the award winners were experienced politicians and parliamentarians, viz. Sarvashri Anandrao Adsul of the Shiv Sena party, Arjun Ram Meghwal and Hansraj Ahir of the Bharatiya Janatha Party. Shri Adsul is the leader of his political party in the parliament, and both Shri Meghwal and Shri Ahir have since become Ministers of State for Finance and Home respectively. The three senior Parliamentarians then became the jury for selection of future award winners among the Parliamentarians. It is a matter of great pride to note that the process of selection of the candidates by the jury, based on the PRS data, is completely transparent with credibility attributed to it. Thus, Prime Point Foundation became the pioneer in the implementation of this unique awards scheme that recognised performing Parliamentarians. It was soon felt that the Sansad Ratna Awards needed a co-partner of national stature, and a venue of pre-eminence to make the Sansad Ratna Awards more noticeable at the national level, and to enthuse the younger lot of parliamentarians to set higher benchmarks in performance in both the Houses of Parliament. IIT Madras, which now ranks as the best engineering institution in the country and the second best as an institution of excellence after the Indian Institute of Science Bengaluru, was more than willing to partner Prime Point Foundation in this initiative. There was no looking back thereafter, and the Foundation has mastered the art of organisation, protocol and other issues connected with a big event. From a mere presentation of awards’ ceremony, the event also became a platform for meaningful discussions where eminent politicians, journalists and celebrities from various spheres gathered to discuss issues of governance, democracy and the politics. There were at least two sessions of panel discussions, one focusing on national issues and the other at a regional level governing the state. 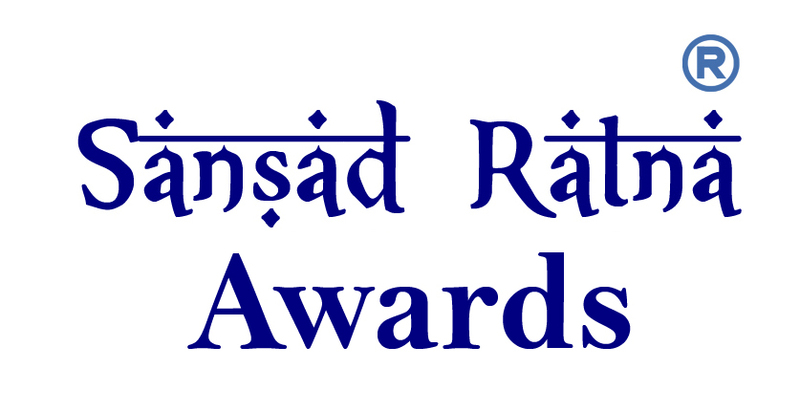 The Sansad Ratna Awards has successfully grown from an idea into an institution of credibility, integrity and strength, where the civil society recognises the people’s representatives who do good work for the people at large in a democratic state. In 2010, it was an idea. By 2017, more than 50 Members of Parliament over the span of the past seven years, have been honoured for their good work. It is now a matter of time that the Sansad Ratna Awards will break national barriers, and gain international recognition for its founders, the Prime Point Foundation.